This summer, I think we will sell four to five players, no more. All clubs are forced to balance their accounts except perhaps one. I would say, it is sure he will leave. He enters a price range that can no longer be paid. There is a career choice for him to make. I think he will have the choice. 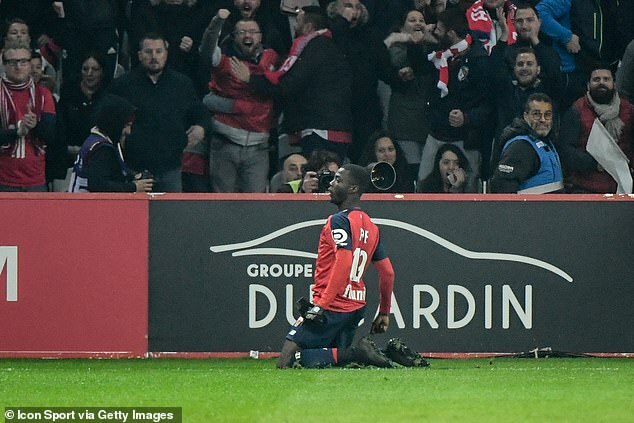 Pepe shone on Sunday night as Lille thrashed PSG 5-1. He scored once and set up two other goals as the shock result delayed the Parisian's Ligue 1 coronation.